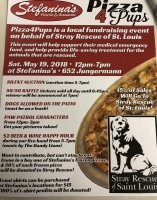 Pizza 4 Pups is a local fundraising event on behalf of Stray Rescue of St. Louis! 15% OF SALES WILL BE DONATED TO STRAY RESCUE! Silent Auction (5p - 7p), 50/50 Raffle (tickets sold all day until 6:45p, winner drawn at 7p), Paw Patrol Characters from 12p-2p (Get your pictures taken!! ), $2 Beer & Wine Happy Hour from 5p -7p, Live Band - The Dandy Lions from 5p-7p, Dogs allowed on the patio (must be on leash), Event T-shirts can be purchased at Stefanina's locations for $15 and 100% of t-shirt profits will be donated. Want to contribute, but can't stay to eat? Come in and buy one of Stefanina's frozen pizzas & 50%OF EACH FROZEN PIZZA WILL BE DONATED TO STRAY RESCUE! *This event will help support Stray Rescue's medical emergency fund, and help provide life-saving treatment for the animlas that rescued. 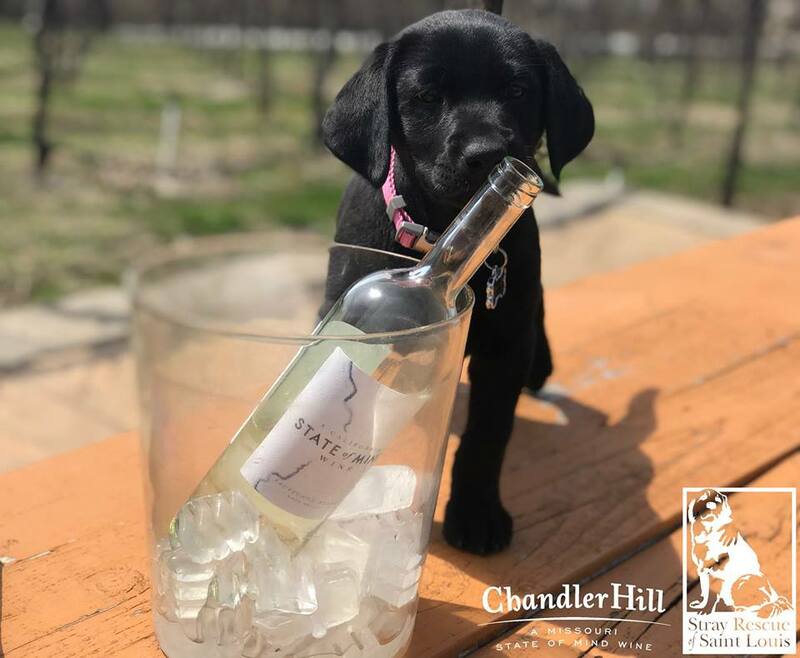 Find a friend for life at our upcoming pet adoption event: Wine & Wags with Stray Rescue of Saint Louis at Chandler Hill Vineyards on Saturday, May 19 at 12 - 3 p.m. Chandler Hill Vineyards is partnering with Stray Rescue of St. Louis — the largest no-kill organization in the city of St. Louis and surrounding area — for a day of wine, wags and fun. Stray Rescue is bringing several of their their lovable pets for you to meet and adopt. 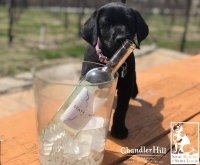 You can also shop for pet products from area vendors and taste or purchase bottles of the latest releases of our State of Mind wines. Click Here for the Facebook Event! Oakville Dental Care Annual Yappy Hour! OAKVILLE DENTAL CARE YAPPY HOUR! Bring your leashed, well-behaved dog and join the "PAW"ty! Live Music by Dave & Them, Food Trucks, Beer, Wine and Treats for the Pups will be available for purchase! Plus, giveaways for the canines and their owners, too! For every TWO items you bring from the donation list below, you'll receive an entry! 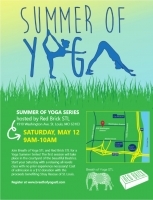 Benefiting STRAY RESCUE OF ST. LOUIS and Gateway 4 Paws. 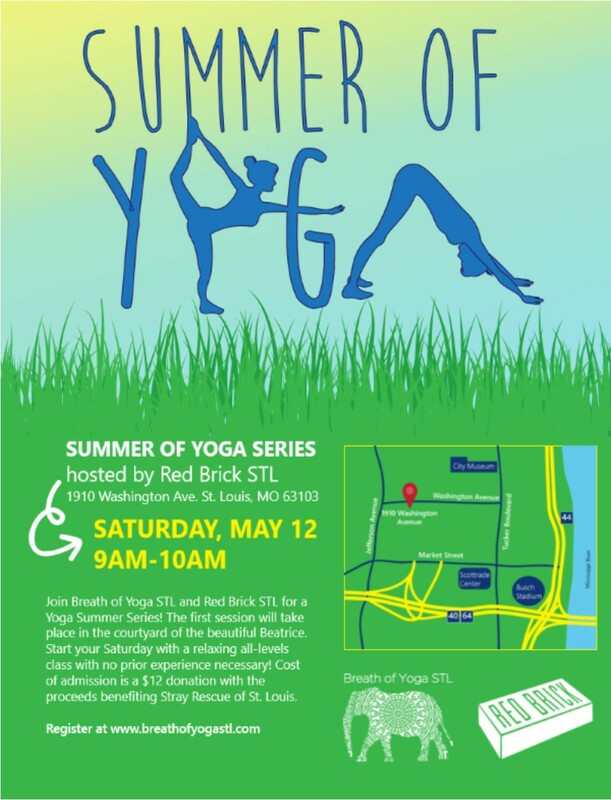 Join Breath of Yoga STL and Red Brick STL for a Yoga Summer Series! Spring for Strays - The Biggest Rooftop Party in St. Louis! This SUPER FUN event will be back in 2019! Come meet adorable furry friends that are available for adoption through Stray Rescue of St. Louis! Click Here to complete the adoption application online! Stray Rescue at Earth Day Festival! in the pet adoption area of the 2018 ST. LOUIS EARTH DAY FESTIVAL! Come meet adorable furry friends that are available for adoption through Stray Rescue of St. Louis from 12p - 3p at the Lowe's in Bridgeton's Spring Grand Opening Event! After the long winter, come and celebrate SPRING at the Lowe’s in Bridgeton! Bring your kids for flower pot painting and planting and for face painting! Get a snack from the Just One Taste Food Truck!! Check out our sidewalk clearance event! Enter to win a free gas smoker-retailed at $229! Yappy Hour IS BACK at Mollys in Soulard! Are you ready to be sitting outside sippin' with the best friends around, the dogs?! Yappy Hours will be from 5pm - 8pm, so it's easy to get out of work, get your pup and enjoy nice evenings out on the patio with other like minded people and cool dogs + it's great way to socialize the pups! 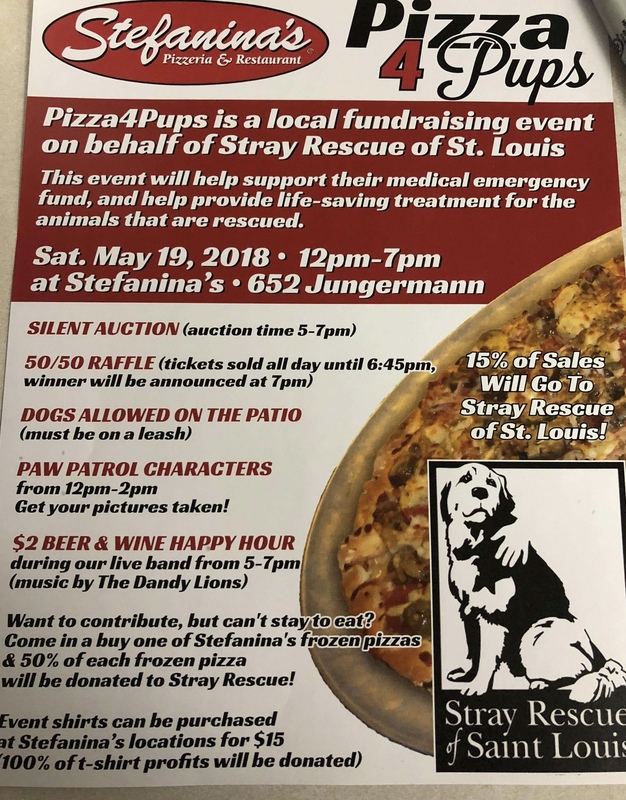 Each Yappy Hour benefits Stray Rescue of St. Louis! This kickoff is going to be awesome, with drink specials Urban Chestnut Brewing Company Urban Underdog on special, Purina treat specials and also raffles with a chance to win a gift basket valued at over $125! There will also be treat samples from Purina and more details are to be added soon! We want to make this year the biggest year yet, so invite your friends, your neighbors dogs and your neighbors too!